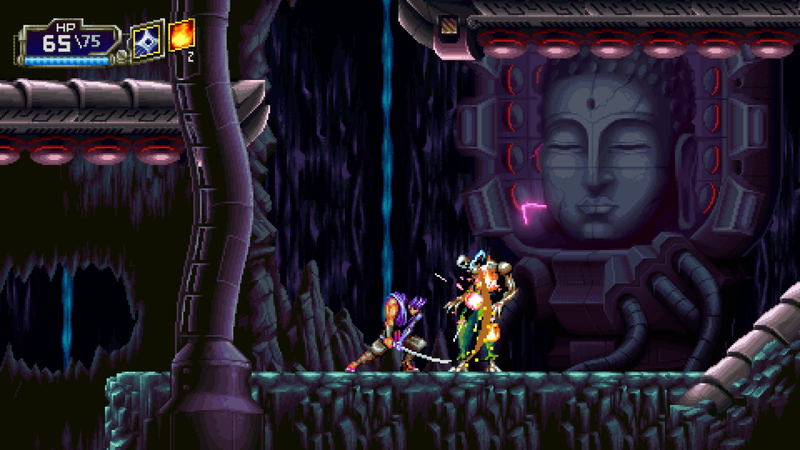 Pixel Arc Studios has launched a new Kickstarter campaign for Bushiden, a metroidvania-style action/platformer that looks fast, difficult, and full of colorful pixels. The project is currently planned for the PlayStation 4 and the PC, although it could come to other platforms depending on how much money the campaign brings in. As of this writing, the campaign, which has 29 days to go, has brought in just over $4,000, so it’s off to a good start. You can watch the initial trailer below, which introduces the overall style and tone of Bushiden. What already stands out about Bushiden is its level structure. As you can see when the map shows up in the trailer, there is obvious metroidvania blood flowing through these digital veins. However, Bushiden has separate levels, rather than one large map. As the Kickstarter page explains, the way it works is that each level rewards the player with a new ability, and the player can leave any level even before it’s finished, via save points. Each new ability, of course, opens up new areas in various spots, so players will be hopping between each level if they want to find all of the secrets. Assuming everything goes according to plan, it seems like Bushiden is currently planned for an August 2020 release. According to the ever-important “risks and challenges” section, Bushiden already has a near-complete game engine and “fully mature” development environment and tools. All the footage from the trailer is stated to be captured from actual, human gameplay.